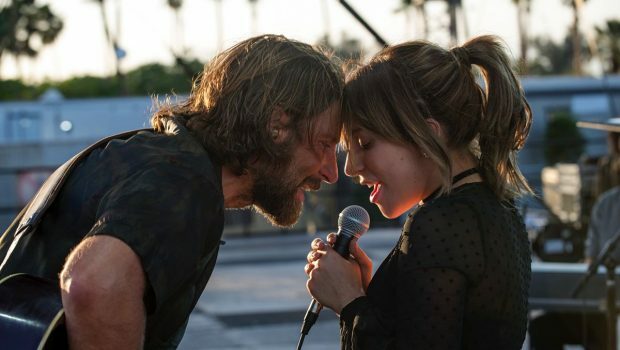 In Bradley Cooper’s directorial debut, A Star is Born, the camera moves in tightly as his character gently places his cowboy hat down on a bench. The decision to leave his own face off-screen allows the image to become entrenched in symbolism. Lowering the hat in the same way a cowboy surrenders his gun closes the door on an era of time and sees a new passage open. It marks the end of recklessness and debauchery, meaning the scene echoes recent movements in Hollywood and show business, such as #MeToo and Times Up. The farewell to the cowboy features in a song called ‘Maybe it’s Time’, performed by Cooper’s reckless good old boy. ‘Maybe it’s time to let the old way die. It takes a lot to change a man. Hell, it takes a lot to try’, he sings. It touchingly underlines the difficulty of personal change, and the necessity for self-reflection. Time laces itself into our subconscious mind, so we gradually transform into wiser versions of ourselves. Our mistakes are more startling when retracing the unrecognisable dreams of our past. 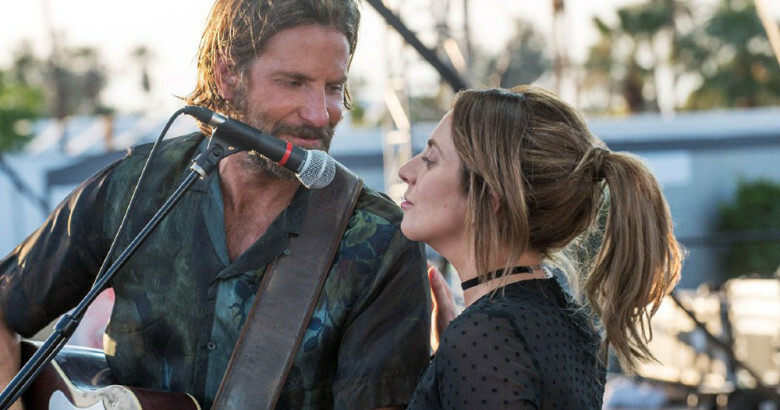 Cooper has undergone a major self-assessment that has influenced this film as much as the previous versions of A Star is Born. He suffered from alcoholism and depression in his late twenties but has remained sober since 2004. In an interview with GQ magazine, he also described the personal impact of his father’s death. These two autobiographical details are strongly etched into Star’s narrative, suggesting that Cooper is holding up a mirror to the bruises of his past. Star is also a rebuttal to his major breakout feature The Hangover (2009). The film was about a group of men who woke up after a night of drinking and had to reconcile their actions. 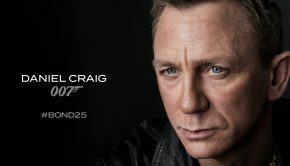 Cooper repents for the all-male knucklehead wolf pack by modernising this story of a broken man romancing and mentoring a young starlet. 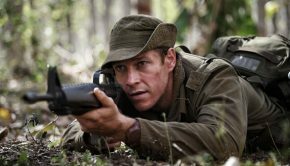 Cooper’s intentions are strong, but the execution could have been better with greater balance between the film’s excellent leads. 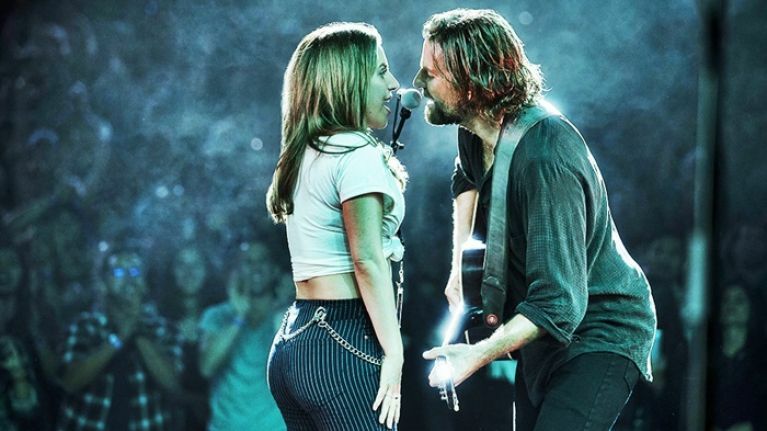 It is a pity that the dramatic beats are lopsided because the most discussed point here is how great pop singer Lady Gaga is in her first major film role. Clint Eastwood was meant to direct the film and cast Beyoncé. Instead, Gaga’s naturalism marks a seamless transition between the two mediums. Her trademark over-the-top outfits are replaced by a relaxed aesthetic and small traits that add to her character’s verisimilitude. For example, a slight turn in the wrong direction backstage at a concert humanises her performance. Another surprise early on is how some light comedy counters the darkness of the film’s tough exterior. On stage, Jack (Cooper) is a scraggly rocker who belts out heavy rock tunes before a huge crowd. At night, his only companions are his chauffeur and the bottle of booze in which he drowns himself. The alcohol washes down the pills he swallows by the handful. No one cares about you once the music stops, he must think. Inside a drag bar, Jack witnesses Ally (Gaga) singing and gently presses her to drink with him. He talks to the other performers and gives Ally time to wash her hair properly. His likeability stems from how much he cares about who she is. He says he likes her nose and humorously tapes a bag of frozen peas around her sore hand. There’s playfulness in this sequence, from the easy humour the drag queens bring to a funny little moment at a checkout. We know exactly why Ally doesn’t believe in herself. She works unhappily as a waitress and has angrily broken up with her partner over the phone. When she sings for Jack the first time, none of her baggage matters to him. He falls in love with her because he sees nothing but purity and talent. There’s potential there if he can convince her that she’s better than she realises. It is also bittersweet how she distracts him from how much he might hate himself. Ally still lives at home with her father, Lorenzo (Andrew Dice Clay). He always tells his buddies he could have been the next Frank Sinatra. Consequently, he pushes Ally out the door to attend Jack’s concert. It’s a different take on ‘movie fathers’ who are needlessly possessive. Jack’s conflict with his half-brother Bobby (Sam Elliott) is brittle. Their father, deceased, was a drunk too, meaning the wounds of the family haven’t healed. These good old boys are inaudible under their thick drawls, which is annoying, but the body language highlights the resentment that boils over between them. Ally is soon talent spotted after singing brilliantly on stage with Jack. The man who wants to work with her and build her career is Rafi (Rez Gavron), a young oily English music producer. Even in a minor conversation about socks, its apparent how much he and Jack detest each other. Ally becomes famous over night, but the pop beats she undertakes overshadow the soulful tunes she played with Jack and his life advice about having her own voice in music. Star employs a deliberately unpolished visual style to reinvigorate its old-fashioned narrative with realism. 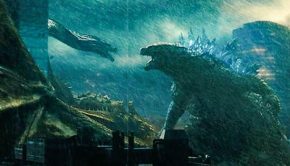 Most of the early scenes are shot by Cooper and his cinematographer, Matthew Libatique (Darren Aronofsky’s regular DOP), with handheld cameras. The framing is sometimes needlessly shaky, but the grainy, low-key shooting style, reminiscent of an Aronofsky project, provides time for the actors to dissolve into the story’s psychology. A close-up of Jack’s gaze as he looks at Ally in a car-park is a sign of affection and a subtle visual motif, book-ended in a late closing scene. During the large concerts, Cooper appropriately expands on the film’s limited visual finesse. The concert scenes were shot in front of live crowds so that the singing did not have to be dubbed in post-production. The first time Ally performs on stage is glorious. The wide shot captures the depth of the crowd and heightens the emotional connection Ally builds with them. Lady Gaga’s pop music isn’t my cup of tea, but with songs such as ‘Shallow’, her voice is undeniably spectacular. Cooper’s tone is great too, though his best work includes the acoustic tunes not the rock ones where his voice is drowned out by the instruments. Maybe this deliberately shows a loss of meaning in Jack’s art. Despite how beautifully the first half flows, the second part is clumsy and poorly edited. For example, characters begin to pop up in impossible coincidences, such as at a SNL gig and a scene featuring Dave Chappelle. It reminds us of how impeccably cut La La Land (2016) was. Similarly, the arguments between Ally and Jack over her style too closely resemble the bits where Ryan Gosling reluctantly compromised to sing with John Legend. Star is unsure if it truly hates the music industry and its male-dominated hierarchy. Ally chooses not to use her backup dancers and is scolded by Rafi for the bold move. Later, there’s a small moment where she and her dancers say a prayer together before performing on stage. Its apparent that Ally has matured but transitioned into someone who does what she’s told. I’m no expert, but Lady Gaga’s signature is her disregard for social norms. Her artistry is her unapologetic flamboyance, and her gift to her fans is that it’s okay to be weird sometimes. 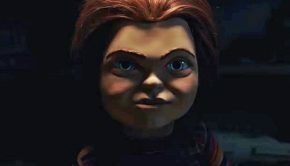 The film’s quirks could have been fixed if the melodrama of Jack’s alcoholism did not outweigh Ally’s belated maturity. Including a female writer (three men including Cooper are credited), would have brought heft to Ally’s industry experiences. Ally’s transition to a big shot is also too brisk. One can imagine this being told on a smaller scale, where Ally works at a minor record company first before developing into a wilder Gaga-like figure. As a film about the brutalities of alcoholism, its gritty but not the roughest game in town. Jack stumbles around a lot but is never violent. To be fair, a major scene does show how alcoholism truly damages other people not just one’s self. Several moving scenes also make Star’s final quarter deeply affecting. The best of these is a quietly humane piece inside a rehabilitation clinic. Ally excitedly visits Jack but in contrast to an earlier moment, he looks down at the floor because he’s ashamed about embarrassing her and her father. The way Cooper digs earnestly into Jack’s wounded demeanour is one of the best scenes the actor has ever done. The ending won’t be spoiled here except to say that it is terribly sad, and one that will stay with me for a long time. It carves its way under our skin because we care about these characters healing themselves. Star commences with great promise because of its impressionable leads and their inspired musical numbers. It is also successfully unified by autobiographical elements and characters dismayed by their squandered opportunities. However, they are not unlike the film itself. It does not entirely capitalise on its opportunities or clarify how it feels about modern music. Cooper could have shared the writing and direction with an experienced hand to iron out the lumps in the middle. If Star is drawing the curtain on the self-destructive cowboy figure and is a love letter to a new generation of starlets, it’s almost there but not quite at the drop of a hat. Summary: If Star is drawing the curtain on the self-destructive cowboy figure and is a love letter to a new generation of starlets, it’s almost there but not quite at the drop of a hat.